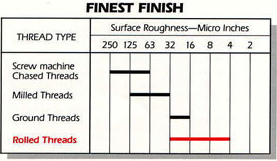 Thread rolling is a mechanical process where threads are cold formed when the part is squeezed between two thread dies on a thread rolling machine. 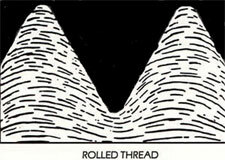 Thread rolling provides for a stronger thread and no loss of material. 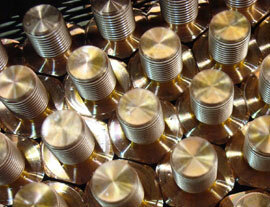 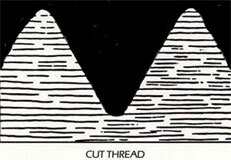 What are the primary benefits of thread rolling compared to conventional thread cutting?